In a world where technology seemingly makes our “stressful” day-to-day lives more tolerable, it is easy to forget how convenient our lives truly are. 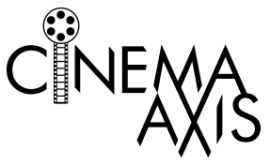 Watching the film Summer Pastures reinforces this point. It is silly to think that we live in a society that gets in an uproar over meaningless things like Blackberry service being down for three days when, in certain parts of the world, women conduct their daily routine of spreading Yak’s manure across a field by hand. 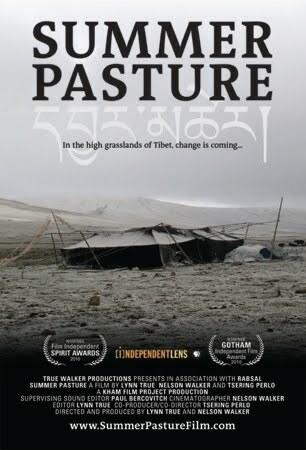 Highlighting the summer of 2007 in the life of Tibetans nomads, Summer Pasture is an intimate documentary that questions how long tradition can be maintained in a world that is constantly being tempted by modernization. The film focuses on a nomadic couple, Locho and his wife Yama, as they find it increasingly difficult to live the lifestyle in which they were raised. Locho has been herding Yaks since the age of six years-old and sees the life of a nomad as perfect. However, growing financial constraints and the harsh conditions make it difficult to sustain the life they have been accustomed to. The directing team of Lynn True and Nelson Walker provide a well rounded view of the daily life of nomads. To nomads having numerous animals is seen as being greater than currency. Even caterpillar fungus, which seems frivolous to Locho, is considered to be like gold as Chinese business men are constantly seeking it. The film shows such tasks as reigning in the herd and the milking of Yaks during hail storms. While the couple has their individual roles, Yama clearly carries the brunt of the responsibilities in the home. In one revealing scene Yama talks about how there is never nothing to do. Yama is constantly bouncing from one task to the next, despite also having a baby to take care of. It is both upsetting, and somewhat comical, to see Yama slaving away in the home while Locho sits around applying cream to his face for fear of getting pimples. What makes Summer Pasture such an intriguing film is how it explores Locho and Yama’s relationship. Locho speaks frankly not only about how the pair fell in love, but also the problems that they have encountered along the way. While the film clearly shows that Locho and Yama have a strong bond, the film frequently points out the fragility of the nomadic way of life. More and more the lure of the modern world is constantly eating away at many of the nomad families. Even Locho and Yama seem to be at a lost as to what to do. Yama slyly remarks that even the Yaks seem to have more direction than they do. Although moving back to the city is always an option, the film alludes that it may lead to just as many hardships for the couple. Summer Pasture works well because True and Walker never try to sway the audience into picking which path the couple should go. They merely provide a glimpse into a region of the world that few people get the pleasure of seeing. The film will leave audiences thinking about the delicate balance that exist between tradition and modernization. Summer Pasture is playing at 6:45 pm at Innis Town Hall. Tickets can be purchased online or at the theatre box office. Beautifully written review about a seemingly beautiful, yet realistic film. I can't wait to see it. A very poignant portrayal of a primitive lifestyle… FYI, one small correction to the above… It was caterpillar fungus… not dung. Definitely worth a viewing. @Mette – The film is making its rounds on the festival circuit but hopefully it will come to a theatre and/or DVD store near you. @Anonymous – Thanks for catching that point. I have revised the review accordingly. Cheers.